You can take it further. Each week, we provide resources for you to take the Sunday teaching further, and pursue a deeper relationship with God through prayer, scripture, and time spent asking questions. Click on one of the links below to listen to the talk, see related resources, and read a reflection and prayer piece written by a member of the Warehouse community. Do you want to get a steady stream of our weekly talks right on your mobile device? Subscribe to our podcast and you’ll have access to our whole archive at your fingertips. We live in a culturally complex world, and navigating that complexity can be both frustrating and invigorating. Whether dealing with differences in family culture, organizational culture, socioethnic culture, generational culture, or national culture, living with wisdom in our globalized, connected world requires that we grow in our cultural intelligence. And like any area of life, sustainable growth involves moving through productive conflict. Movies are one practical way for us to encounter different cultures and wrestle with the complexity and conflict that emerges from that encounter. 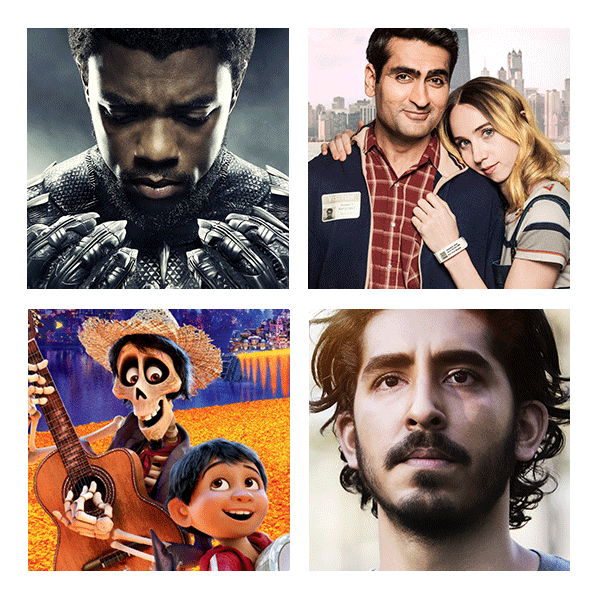 In four unique ways, Black Panther, The Big Sick, Coco, and Lion are movies that move us to see that cultural complexity is a gift to be embraced rather than a threat to be rejected.